Apricots with their luscious combination of sweetness and tanginess are, in my opinion, the tastiest fruit in the stone fruit orchard. 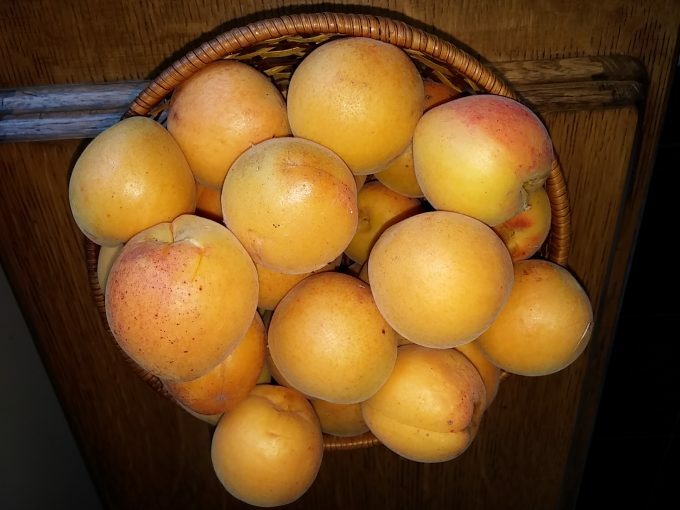 There’s nothing like waiting for those first tree-ripened apricots, red-blushed on the side facing the sun, in December or January and taking a first bite of their sweet juicy flesh. Heaven! Although apricots are generally thought of as being only suitable to grow in warm temperate and cool temperate climates, there are some varieties with low chill requirements that grow in subtropical areas. Plant in winter when the tree is dormant. Choose a well-drained, fertile spot and dig a deep hole. Incorporating some slotted pipe down the side of the hole will make delivering water direct to the roots both easy and efficient later on during hot weather. Select a tree that can develop 4 main branches and prune to a vase shape. When you plant, check the width the tree will grow to and leave ample space all the way around it (including appropriate distance from fences) as this will allow good air circulation and prevent a build-up of humidity resulting in fungal disease. And plant in full sun so that the fruit will ripen! Water is a must! Apricots need water during hot summers and after cropping so that their buds will develop well the following spring. Water around the tree’s drip line once a week or, as mentioned above, install slotted pipe at planting and water directly to the roots through summer and autumn. Apricots do not like wet or boggy ground so your site must be well drained. They also do not like rain at flowering time or when the fruit is close to maturity, but there is not a lot we can do about that. I have, however, seen beach or market umbrellas placed over small and medium-sized trees used to good effect during downpours to prevent apricots splitting. Mulching with pea straw will help retain water, but make sure that it is not close to the trunk in order to prevent development of fungal disease. 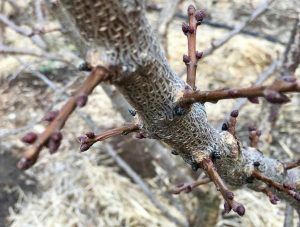 First, make sure you clean all pruning equipment with methylated spirits before beginning and after each cut of a diseased limb. Initially, pruning should shorten branches, retaining 4 main ones that form a vase shape. For second year pruning, choose 2 laterals per branch and shorten them to expand the structure of the tree and keep it balanced. This also allows the branches to thicken and strengthen. The time of pruning is critical. It needs to be done in February or March on a warm dry day and preferably in a week that is predicted to be the same. This avoids infection from silver leaf and bacterial canker and other fungal infections entering and taking hold through moist pruning cuts. The quicker that the cut dries the better. In general, begin by pruning dead wood and dried out spurs, any diseased wood (e.g. branches with any dieback on their tips or seeping gum), and any crossed branches, plus thin out the spurs removing old and weak ones. Then stand back and look at the structure and decide what else to prune. This will include long laterals – you want to keep the gnarly spurs close to the trunk and main branches – and any branches cluttering up the centre of the tree. Having an open centre will also prevent fungal infections caused by a lack of air flow resulting in humidity. You may also want to lower the height of the tree for easy and safe picking, and to deter possums and bats that prefer taller trees. When you have finally finished, stand back once again and survey your work. This will alert you to any imbalance in your pruning which you can immediately rectify. Apricots grow on spurs and these last 2 -3 years. After the third year, prune out old spurs to make way for new ones. Flower buds open on one-year old wood, and later as the tree matures, on older spurs. Apricots often fruit heavily one year and not the next but to some extent this can be remedied by reducing the fruit when they are small and green in the ‘heavy’ year. If all the energy goes into the crop one year, it won’t be available for the next. Twist one out of three apricots from the branch to reduce numbers and this will also increase the size of the fruit. My all-time favourite is Moorpark. Moorpark, with its large juicy, orange fruit was developed in the 1600s in England and is massively popular to this day. It ripens late December to early January. Trevatt, which is yellow with a red blush, is also delicious and ripens in December, in time for Christmas. Both Moorpark and Trevatt come in dwarf forms. 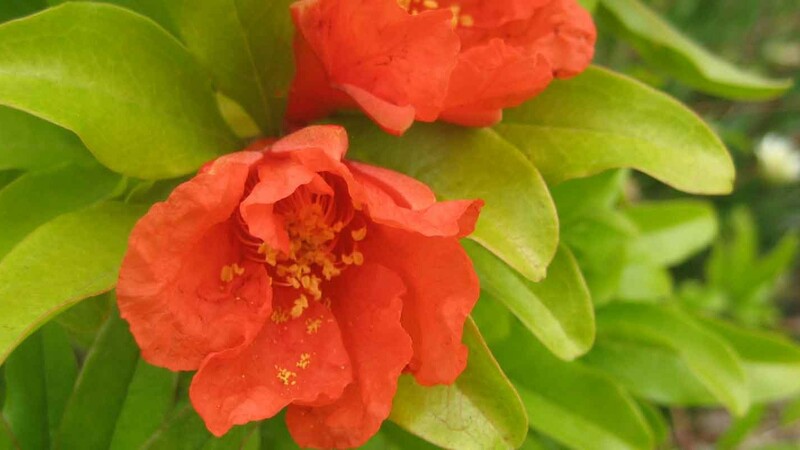 Fireball, with its deep orange colour and sweet, traditional apricot taste is a delicious new cultivar. When it gets down to it though, what apricot isn’t delicious and worth having? These include possums and bats as mentioned, but also rats. Rats are harder to deter. They run up the branches taking a bite here and there of all ripe fruit and can destroy a crop overnight. This happened to me one year and what was a fabulous crop one evening, was a tree stripped bare the next morning. I found all the pips under a tub nearby, so was able to count exactly how many apricots had been demolished! Birds, of course, like a tasty nip of ripe fruit and the answer to this is to net securely, taking care not to bend the branches, or to pick the fruit a little before it is fully mature and ripen it indoors in a single layer on trays. Small insects like earwigs and garden weevils can be a nuisance and are responsible for small holes in the fruit. Good hygiene is the best deterrent along with a barrier to prevent them climbing up the trunk and spreading. Make a trap for earwigs and place under your tree but empty it every day. If you spy harlequin beetles, this is an indication that your tree is not healthy so thank them for letting you know. The disease most of us are familiar with is brown rot. This is easily seen as the term accurately describes the large spots of rotting flesh. As the rot develops, whitish grey spores will cover the surface of the apricot. Brown rot is a fungal disease spread by wind and rain. It develops on mummified fruit left on the tree and ground and settles on twigs as well. Remove any mummified fruit or dried flowers, rake up and remove all litter regularly beneath the tree and use a Bordeaux spray at leaf fall and again before bud swell in late winter. Spray all sides of the trunk and branches and agitate the mix every few minutes to stop the copper and slaked lime from separating. You may also need to clear the nozzle. Apricots also suffer from gummosis (bacterial canker) which appears as gummy swellings on branches where there is a wound to the bark. It occurs when there is splitting in the crutch between trunk and branch and this can be caused by such things as too much weight of fruit on a soft branch or rapid growth in spring. It can also be caused by borers – check for sawdust in the gum or around it – or mechanical damage from mowers or whipper snippers. Or even blunt secateurs. Gummosis needs to be managed – spraying won’t help – so keeping the tree well pruned, using clean secateurs and protecting it from mechanical damage are the best strategies to use. Other less common diseases include silver leaf and verticillium wilt. A little-known fact is that a fungus that capsicums are prone to can infect apricots so avoid planting capsicums near or beneath apricots. Alliums, especially chives and leeks, are useful for deterring borer insects and basil and tansy repel fruit flies. Tansy also repels ants which can often be seen climbing up apricots searching for sugars. One plant won’t do the trick. As a companion, you need to plant a number right round the tree. Apricots are high in Vitamin A – in fact, they are the supreme stone fruit in this regard. 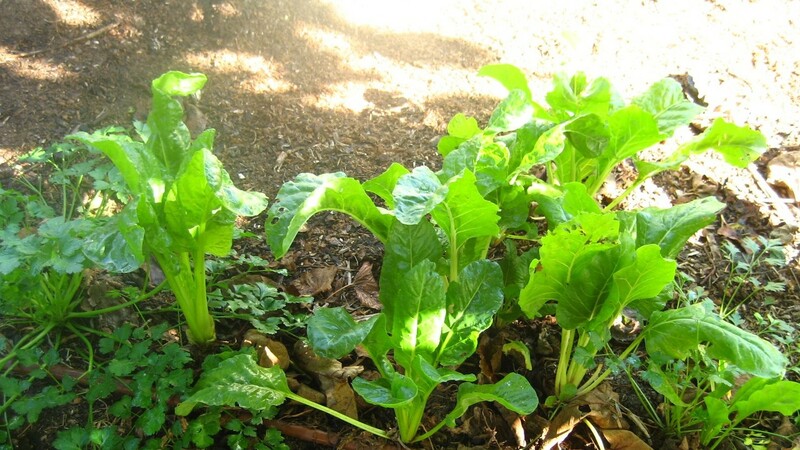 They also contain Vitamins B and C and minerals such as calcium, iron and potassium and some protein, so they are a wonderfully nutritious and versatile food. Eaten fresh they are sweet and tangy. They make luscious jams, curds, butters, tart fillings and chutneys on the sweet side. On the savoury menu, they can be paired with chicken and lamb. And dried as fruit leathers or dried apricots they are delicious. A favourite recipe in my home is Moroccan lamb tagine with apricots, prunes and almonds. Heat the oil in a tagine or heavy pan, sauté the almonds till golden, then add and sauté the onion and garlic, then the spices. Add the lamb and sauté for a further 2 minutes, stirring well. Cover the mix with water and bring it to the boil. Reduce the heat, cover and simmer for about an hour until the meat is tender. Add the prunes, apricots and rind, cover and simmer for another 20 minutes. Add the honey, season with salt and pepper and simmer for another 10 minutes. Stir in 1/2 the coriander leaves. Make sure the tagine doesn’t run out of liquid, add more if necessary to maintain a syrup. Serve with couscous and sprinkle with coriander.